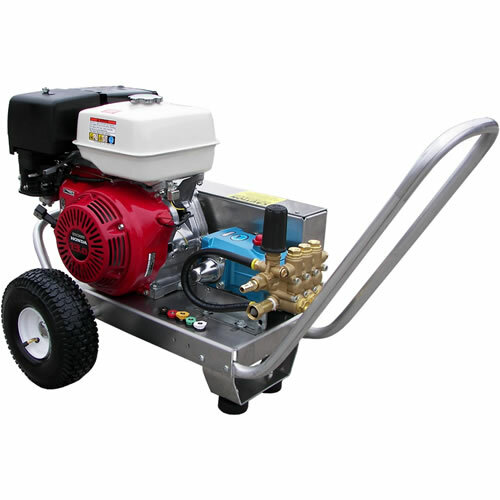 4000 psi pressure washer machines are considered heavy duty pressure washers. They are designed for professional and commercial service at industrial sites, for example. Other typical sites where these pressure washers are used include estates, farms, horse stables and commercial shop floors include washer hiring businesses. On the pressure washer market this Karcher pressure washer is considered top of the range. It is a highly rated washer and sells for just above $1300.00. Running on a Honda GX390 engine this washer is designed to be a high performance washer. It has a Karcher direct drive pump made of durable brass for the head. This is a very strong combination apart from the recommended Honda engine and CAT pump. Karcher pumps are equally good and German engineered. However, what makes CAT superior to the Karcher pumps is that their tri-plex plunger pumps that are made of ceramic which is stronger and durable. Karcher pumps are axial cam and made from aluminum. They are therefore not as strong and cannot be rebuilt as you would have with tri-plex plunger pumps. This G4000OH model has a water flow rate of 3.6GPM and comes with a long 50 foot non-marking rubber hose. The reason why the hose is longer than that of lower PSI washers is because this washer is more powerful in PSI and horse power terms. This enables it to maintain high pressure output even when a longer hose of 50 feet is attached. It has quick connect nozzles ranging from 0 degrees, 15 degrees, 25 degrees, 40 degrees and a special soap spray nozzle. You can also use a turbo pressure washer nozzle on this machine. Chemical injection for this washer is through a siphon tube. the remote pressure control dial on the spray wand in handy enabling pressure control without walking back to the unit. instructions not clear on instructing user to pull trigger to release pressure in the system for easy start. Machine won't start with pressure build in the system. 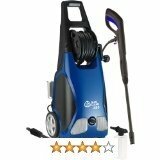 We recommend this high end pressure washer as a very good buy. You may consider our Karcher pressure washer accessories and parts for other items that can go handy with this washer. This unit has an output power of 4000 psi at 4.0 GPM of cold water flow. It has a Honda GX390cc engine which is known for being easy to start. It has a CAT pump which is a belt drive triplex plunger pump. The Honda and the CAT combination is considered a winning combo. This is what makes this unit a good alternative to the Karcher washer we have reviewed above. 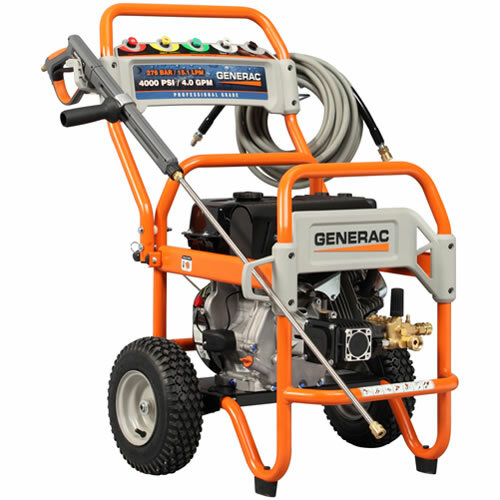 This pressure washer comes with a 50 feet non-marking steel reinforced high pressure hose and 4 quick connect nozzles and another one for chemical application making them 5. You can also use an after market purchase turbo nozzle on this machine. The frame of the washer upon which it sits is made from aluminum designed to make it a light weight frame which is hard to break or crack. This 4000 psi pressure washer model from Pressure-Pro enjoys high ratings fron industry experts due to its competitive specs put aganist other top brands on the market such as Karcher. It is recommended for anyone looking to do professional pressure washer cleaning jobs such as commercial cleaning, industrial cleaning, on the farm and even more effective cleaning around the home. 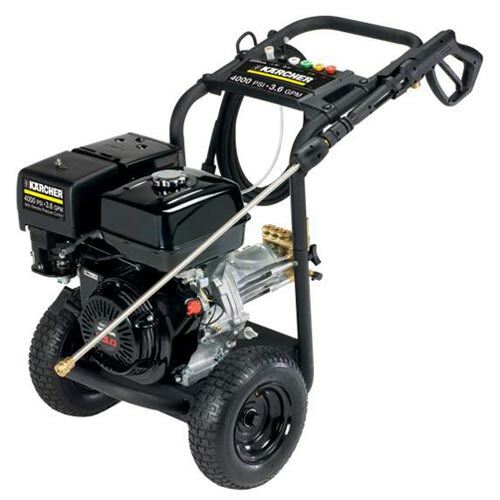 We recommend this pressure washer for high end professional use. 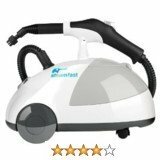 As mentioned it is a good alternative to the Karcher if price is not an issue. As the product name would suggest, this unit is in-between the professional and consumer classification. At 4000 psi and 4.0 GPM flow rate this washer can handle some of the toughest jobs around the industrial or construction site such as stripping paint and removing tough grease, grime and dirt. It is therefore suitable for cleaning heavy duty machinery, trucks, and even farm equipment and vehicles. We consider this unit a cheaper alternative to the two pressure washers reviewed above. It sells for just about $950.00 and runs on a Generac 420CC horizontal shaft OHV engine and an AR triplex plunger pump. This combination by no means beats the Honda and CAT engine and pump combination respectively which you find on the karcher and Pressure-Pro units above. This unit is a fairly newcomer on the market. It however has proven this far to be a worthwhile professional pressure washer that can do heavy duty jobs to a satisfactory level. It comes with 5 quick connect nozzles of 0 degrees for a straight and direct spray, 15 degrees, 25 degrees, 40 degrees and a soap nozzle. It also has a 50 feet long non-marking steel enforced hose. It uses a chemical siphon tube for chemical injection.